This turn-key, Mediterranean style home is located in the very desirable La Rivera community. Built by KB homes in 2006, this home features an attached 2 car garage, laminated wood flooring, open floor plan, upgraded fixtures, patio, in home laundry, custom shutters, and more! This home has 3 bedrooms and 3 bathrooms. The master bedroom suite features a special walk in closet with plenty of storage. Amenities around the community include a swimming pool, picnic area, fitness center, barbeque, playgrounds, and walking trails. Perfect for entertaining! Enjoy a 5-minute commute to Downtown Riverside for entertainment, shopping and restaurants. 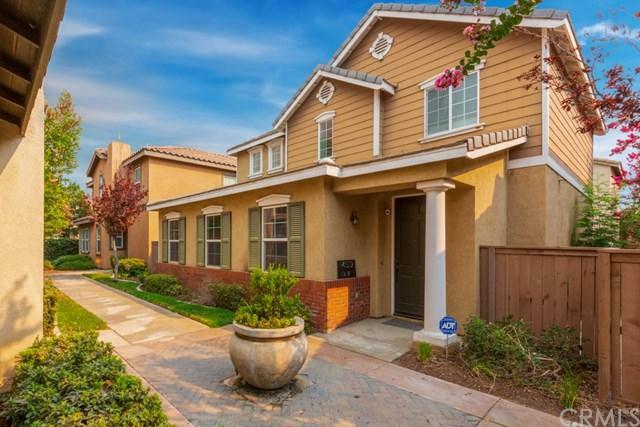 Home is conveniently located to nearby freeways such as 60, 61, and the 215. Sold by Blanca Adams of Realty Masters & Associates.